Arriving in Switzerland I was greeted by a substantial thunderstorm. Great! Our training course was established in Evolene, a stunning alpine village high up in the Val du Herens. I arrive a day early and met up with Tamsin for a via ferrata which was local to where we were staying. Having never don e Via Ferrata, I made a lanyard and off we went. Great way to get into very exposed terrain with constantly good handholds! 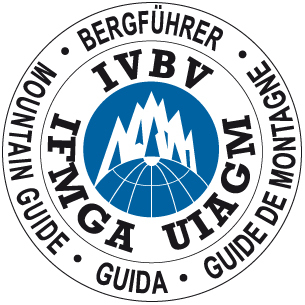 The course kicked off with a whole day of Via Ferrata. A very fun activity but not to be underestimated. It still has plenty of risks involved and as a guide, needs to be managed appropriately. We did two routes covering some steep and exposed ground, 'pumpy' in places but fortunately you can clip in at any point and rest. Day two we headed onto the 'Glacier De Moiry' in the Swiss canton of Valais. A very accessible glacier which ideal for 'Ecole du Glace'. We spent the day looking at techniques to teach and prep clients for a week in the mountains. Crampon and axe use, glacier travel and crevasse rescue. A really useful day and looking forward to putting it into practice. Now a week off before Alpine Training 2...and there is a heat wave here!